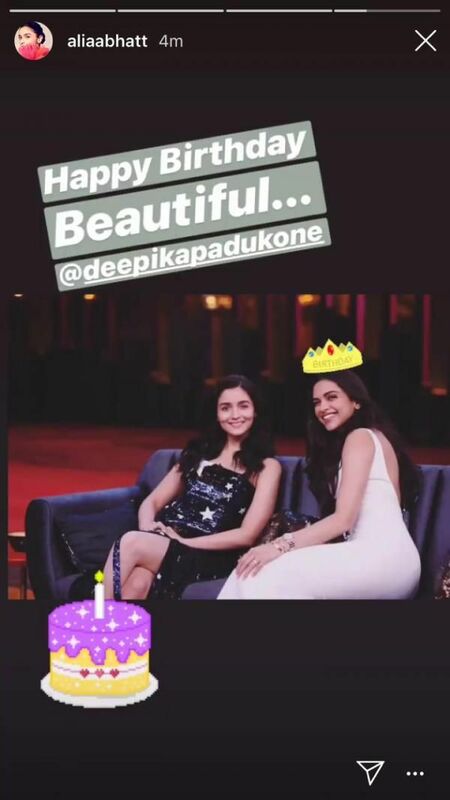 Actor Deepika Padukone is celebrating the 33rd birthday today and her friend actor Alia Bhatt wished her in a very special way on Instagram. Deepika had a successful 2018. From releasing a blockbuster film Padmaavat to ending the year by getting hitched to the love of her life Ranveer Singh, Deepika has been the talk of the town. 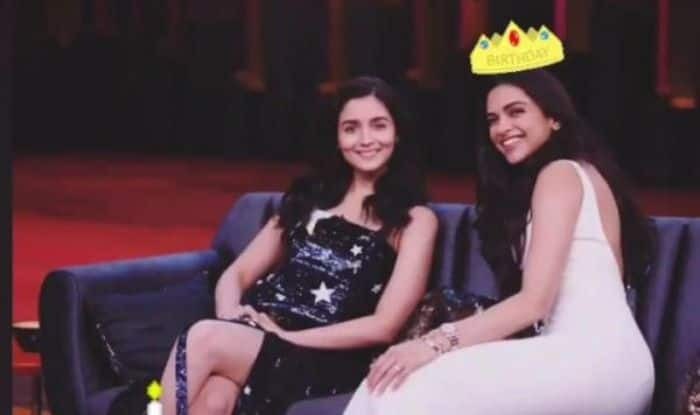 Alia, who shares a close bond with Deepika, recently shared a picture with the Bajirao Mastani starrer on Instagram where she has put a crown on the birthday girl’s head. She captioned the picture, “Happy Birthday Beautiful.” It was a picture from the sets of Koffee With Karan where the two had made their appearance together and shared many untold stories about their mischievousness. In the same interview, the two had revealed how they attended Cold Play’s concert together and how they wanted to go to the loo and did something really fishy there. They unveiled that instead of using the women’s washroom, they went to the men’s one since the ladies toilet had a long queue. Deepika’s next venture is director Meghna Gulzar’s Chhapaak, which is based on acid attack survivor Laxmi Agarwal. Alia, on the other hand, will be seen in Gully Boy with Ranveer Singh. The first teaser of the film was released yesterday and has become the talk of the town. This is the very first time that Alia will be sharing screen space with Padmaavat starrer Ranveer. Also featuring actor Kalki Koechlin, Zoya Akhtar-directed Gully Boy is a musical drama, based on real-life rappers Vivian Fernandes aka Divine and Naved Shaikh aka Naezy. Gully Boy is set to to release on February 14.